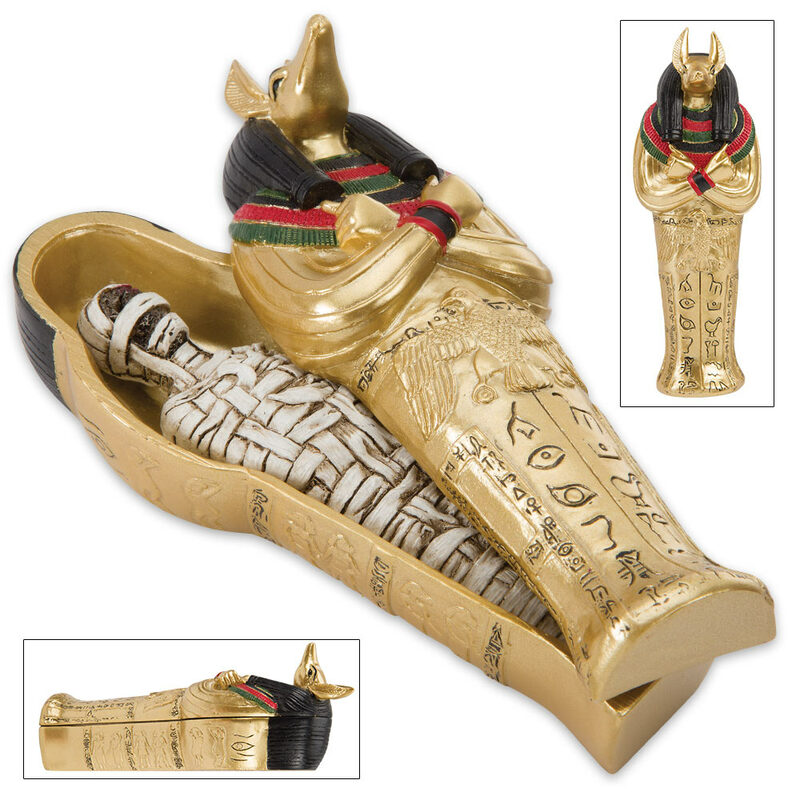 Egyptian Sarcophagus With Mummy Inside - Set Of Two | BUDK.com - Knives & Swords At The Lowest Prices! 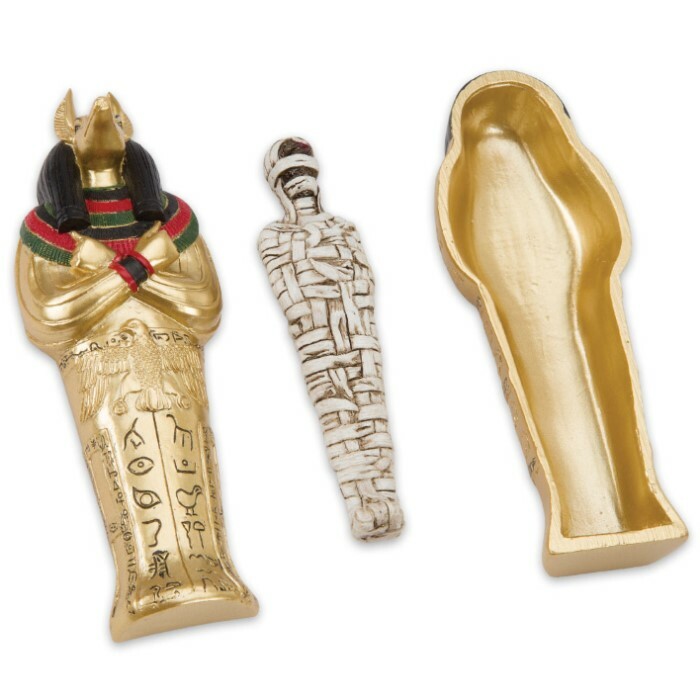 Our Egyptian Sarcophagi set looks exactly like an artifact that might have come from an Egyptian tomb in the Valley of the Kings. Expertly sculpted in polyresin, these intricately detailed, decorative pieces look like they’re made of real gold. The bright gold-colored coffins have red, black and green details and each has a highly detailed, removable mummy statue inside. 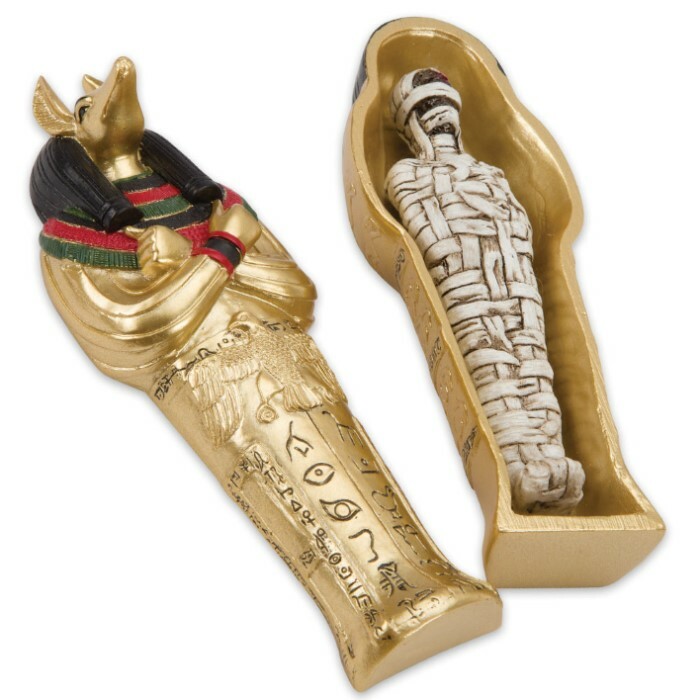 One coffin is a portrayal of the iconic King Tut sarcophagus with his mummy inside and the other is an Anubis sarcophagus with a traditionally bandage wrapped mummy inside. Fine quality and original design make our home decor collection stand above all others!